Posted by Ali Kane on Thursday, January 10th, 2019 at 11:01am. Looking for something to do the next couple of days? 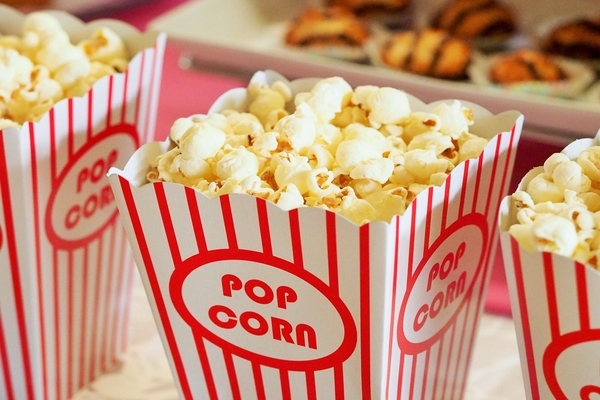 Luckily for us, Palm Beach County has a list of top-rated movie theaters where you can gather your friends and head to to enjoy a movie and some delicious popcorn, snacks and candy. The Shoppes of Jupiter located on Indiantown Road and US Highway 1 is home to Cinepolis Jupiter. The company’s first hybrid located that offers the two unique auditorium concepts in one movie theater, Cinepolis Luxury and Cinepolis. Cinepolis Luxury offers movie goers fully reclining leather seats and in theater wait staff with a full bar and dining menu. The Cinepolis side also offer comfy leather seats and access to food, drinks, and popcorn in the lobby area. All Cinepolis locations offers cutting edge sound and digital projection in their theaters. Click here to view the movies playing at Cinepolis Jupiter. Cobb Theaters, located at the Downtown at the Gardens in Palm Beach Gardens has undergone renovations last year to upgrade the theater to include a full bar and food menu, Stadium seating with an obstructed view, comfortable reclining chairs, digital surround sound, bigger wall to wall curved screens, and much more. Click here to view the movies playing at the Cobb Theater. AMC CityPlace 20 is located in CityPlace in West Palm Beach and offers 20 big screens that include Sony 4K Digital Projection, IMAX, and 3-D capabilities. The theater also features high-end seating, a video arcade, a full bar and menu, popcorn, and much more. Click here to view the movies playing at AMC CityPlace 20.